Hello! Quick post today! I wanted to share this absolutely gorgeous red jelly with you. 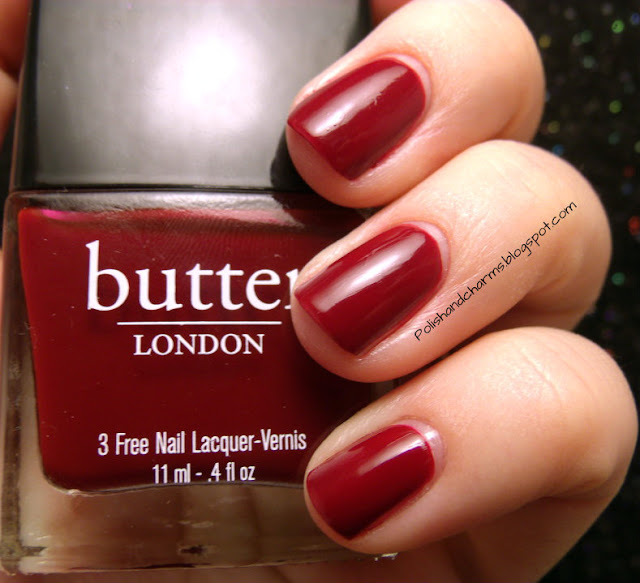 This is Butter London Saucy Jack. I did use "underwear" as I don't like to have a visible nail line. After the undies I used 3 coats. Enjoy! Super pretty Meredith! I love colors like this for Fall! 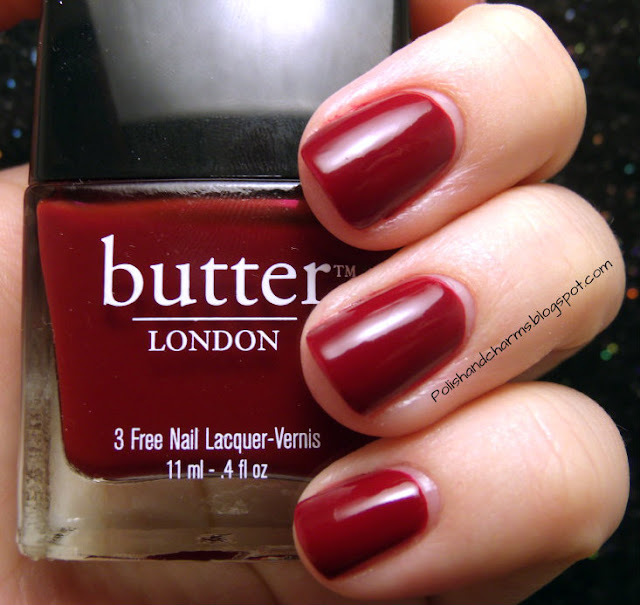 What a gorgeous fall red - love it! lovely shade for fall ! What a red! Just stunning! I love this kind of vampy red!!! What do you use for underwear? Just a plain old white? This is a beautiful red! Beautiful red for Fall or any season for that matter! this colour is perfect for fall! gorgeous application. Thank you Maribeth, me too! Me too! I used Sally Hansen Duchesse Lace. I think so too! Thank you so much! I loved it on, I couldn't stop looking at it! Thanks! I know I know, I'm a nerd lol!